First off, why do you want a new propeller? Is your boat too slow coming out of the hole and getting on a plane? Do you think it could go faster? Do you feel it could be more fuel-efficient? After knowing your goals, you can make a smarter choice of a propeller. Under revving and over revving can boh cause damage to your engine, so it's important to select the right prop. Your owner's manual should provide this spec (generally between 5000 and 5500 rpm), or you can ask your mechanic or dealer. Engine rpms and pitch are inversely proportional, which means if you increase the pitch, the engine rpms will decrease, and vice-versa. As a rule of thumb, a pitch increase of two inches will lead to a 300-400 rpm reduction, and vice-versa. So if your engine is under revving, get a propeller with less pitch. If it's over revving, get one with more. Boats can be used at different elevations. Remember that lower oxygen concentrations at high altitude can reduce the engines' ability to produce power. You can partially make up for this drop in performance using a second prop with lower pitch. The engine will find it easier to maintain the right rpm at WOT. Carrying more than the usual weight on your boat can reduce your engine's rpm as the original prop gets excessive pitch. If you normally switch between heavy loads and light loads, get two propellers with different pitches. You can adjust your pitch for different situations by either having two complete props, or two modular props having different pitches. You can buy these solas stainless steel props or propellerdepot.com for more durable propellers. Ventilation occurs when the propeller's blades draw exhaust gas from the engine or air from the surface. The boat becomes sluggish and the engine over revs as a result. This event occurs because of excessively tight turns, when an engine is over-trimmed, or when a motor is mounted higher than usual on the transom. 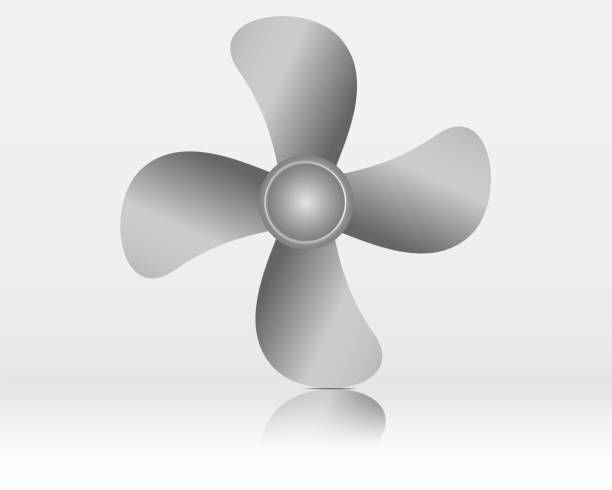 It can also happen with poorly designed propellers; when propeller designs don't fit the application or have little to no cup; or when the propellers are worn or damaged on the edges or cup profiles. Cavitation is usually mistaken for ventilation, but it actually totally different. It occurs when water vaporizes or boils because of an extreme lack of pressure on the propeller blade's back. Partial cavitation can be fine during normal operation, but too much cavitation can cause "cavitation burn," metal erosion, or pitting of the propeller's blade. Many factors lead to cavitation, some of the mos common ones being incorrect engine height, poor polishing and poor blade design. Again, if you're a newbie, don't shop without making necessary considerations. And do consult an expert before making a decision. A propeller won't be cheap but with the right advice, you'll be happy with the results, whatever the cost. Here are more things to watch out for when buying your boat accessories: https://www.huffingtonpost.com/entry/7-trends-to-watch-out-for-in-the-boating-industry_us_5a48d331e4b0d86c803c778a.